Posted on July 14, 2018 at 10:22 am. It was another week full of surprises for us. 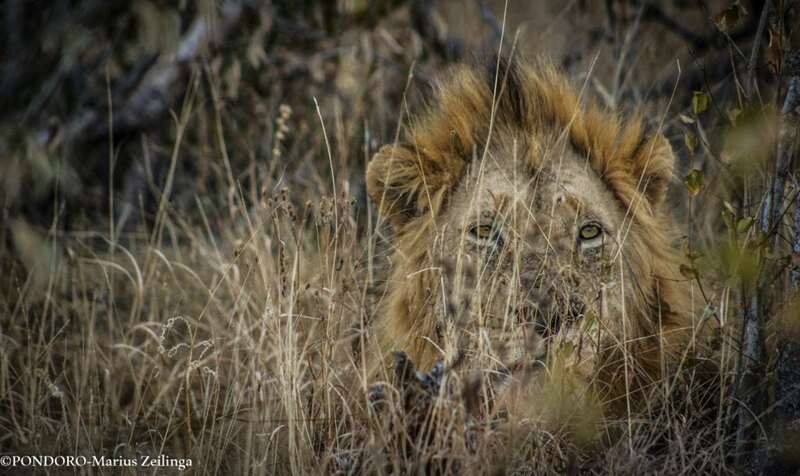 The weather was somewhat unusual for us with very cold windy days and even a bit of rain one afternoon but not as big of a surprise as 3 unknown male lions. 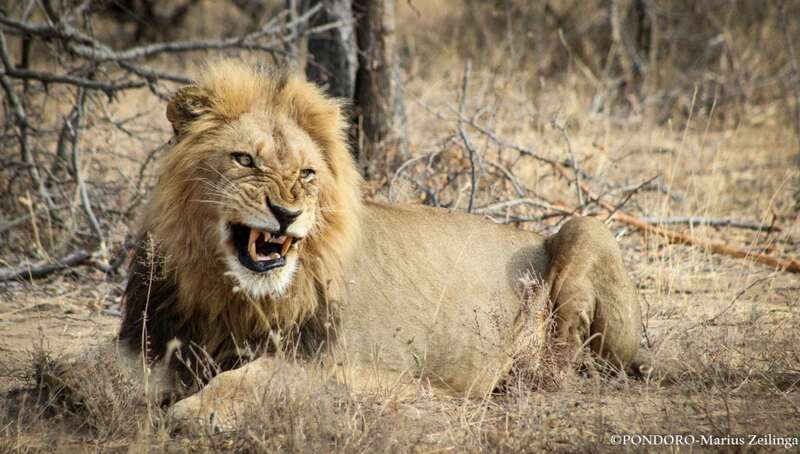 On the last day before the weekend a call came in of 3 unknown male lions resting not to far from Pondoro lodge itself. 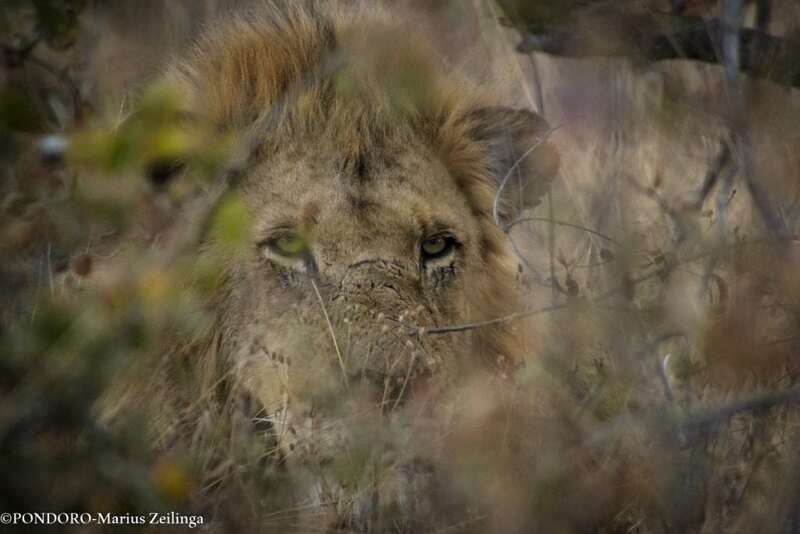 There as been a lot of male lion activity along the Olifants river and to our east and is most likely these 3 males. 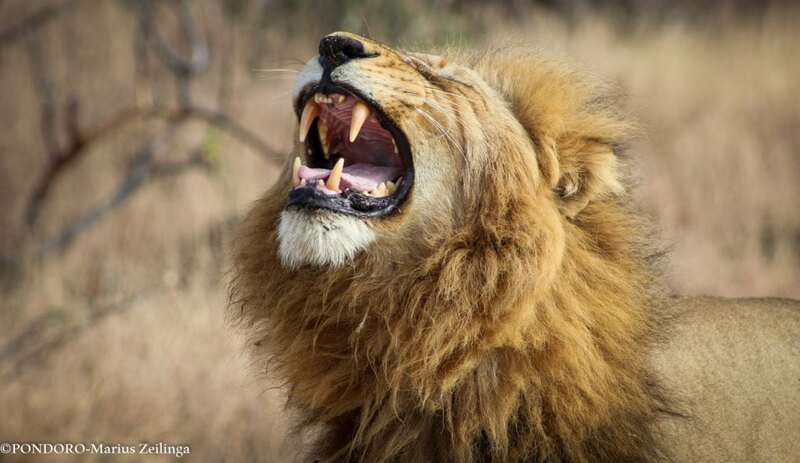 They are currently not an immediate threat to the Machaton males as they are staying in the far northern reaches, so far. They were lying in very dense bush which made getting a good shot very difficult and I was only able to capture two of the three males. 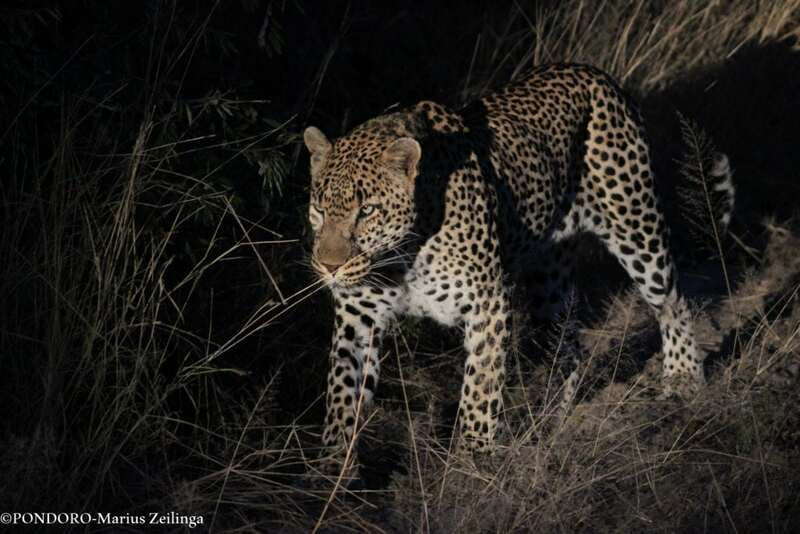 The Kudyela pride and Machaton males were on the move this week and we could hardly keep up. We did not see the cubs much this week. 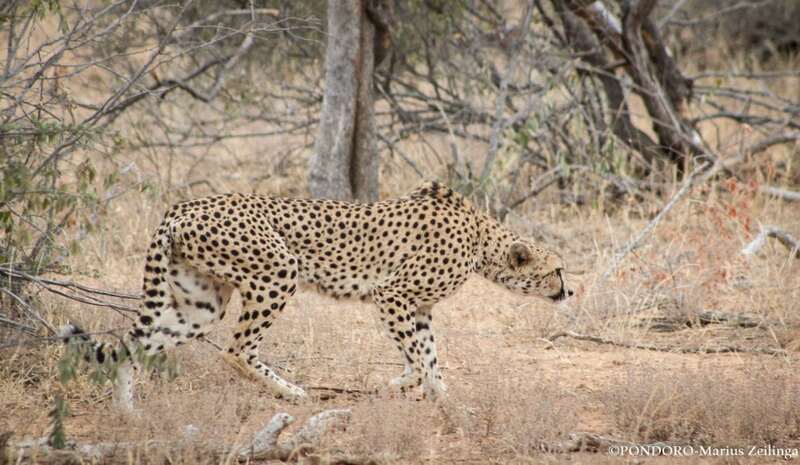 The Machaton males were seen with a few females during the week where some of the males tested the females urine to see if they are in estrus by using their vomeronasal organ. 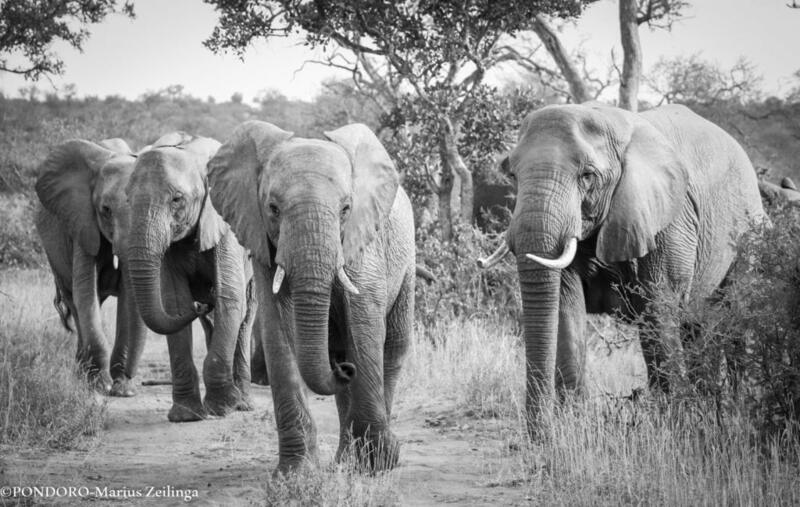 The herds of elephant seem to have declined from 100’s to only a handful of them. 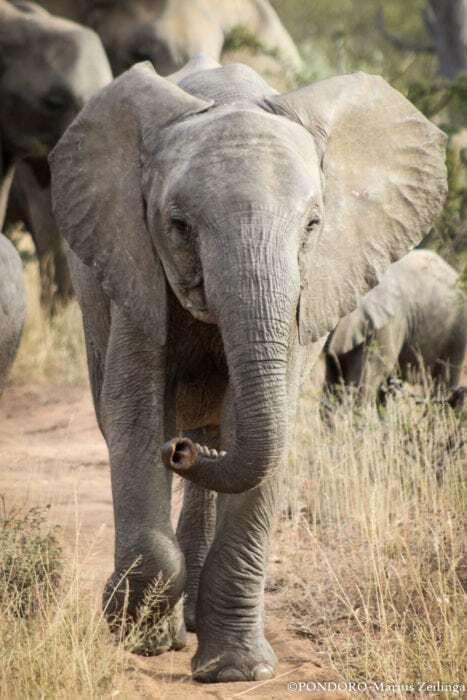 During the dry season they have to keep on moving to the best feeding grounds and do not spend as much time in one area as they would during the summer simply because of food availability. Chavaluthu was seen a few times and each time desperately looking for a meal. 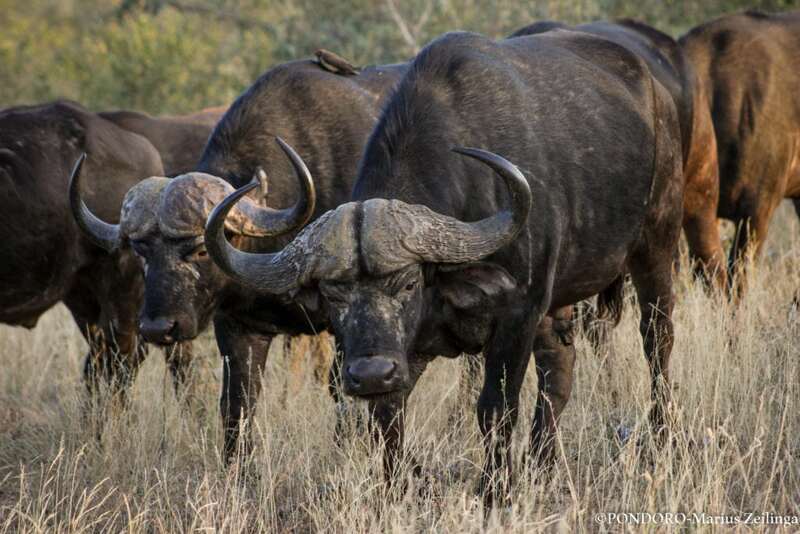 After being hunted by the lions a few times it seems like the buffaloes have temporarily gone into hiding. This beautiful female cheetah was seen one morning moving between thickets but crossed a few open areas giving us just enough time to appreciate such a rare sighting.